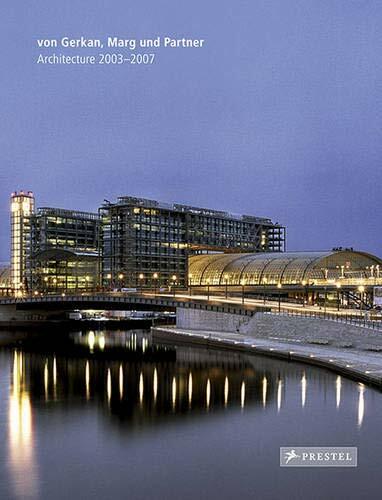 More than sixty buildings in cities including Berlin, Cologne, Hanoi, and Shanghai are featured in this book on the world renowned firm gmp. Detailed descriptions of each of the structures include photographs, plans, drawings, and illuminating commentary by one of the firm's founders, Meinhard von Gerkan. Particular attention is given to gmp's most celebrated projects, such as the Berlin Central Station, an awe-inspiring cathedral of glass and steel; Shenzhen's Convention Center, considered the city's crystal palace; the Berlin Olympic Stadium; and the Christian Church in Beijing. Ranging from homes to hospitals, museums to office complexes, sports centers to research facilities, these stunning buildings represent the most forward-thinking trends in architecture, while preserving the firm's legendary reputation for excellence and integrity. MEINHARD VON GERKAN founded gmp together with his partner VOLKWIN MARG. Since its inception in 1965 the firm has expanded to include six additional partners with multiple offices around the world.